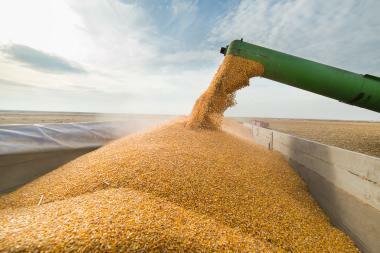 Update: A "grain glitch" "fix" was signed into law on March 23. Read about it here. The Tax Cuts and Jobs Act lowers the corporate income tax rate from a maximum rate of 35 percent to a flat rate of 21 percent. To ensure that other businesses weren’t left without a break, the Act also creates a new deduction, IRC § 199A, to apply to income earned from other business activities. The new deduction impacts millions of taxpayers, including those who operate a sole proprietorship, S corporation, or partnership and those who are members of a cooperative or have an interest in a real estate investment trust or a qualified publicly traded partnership. Despite its tremendous impact, § 199A is perhaps the most obscure provision in the new law. During the next several weeks we will address specific parts of this provision in separate posts. Today, we will discuss an issue that has been flooding our mailboxes during the past week: the treatment of "qualified cooperative dividends," specifically how this new provision impacts farmers who market their commodities through a cooperative of which they are a patron, as opposed to sell them to a non-cooperative buyer. Without IRS guidance on this issue, it is impossible to know how these provisions will be interpreted. With that in mind, however, we’ll turn to the Code, doing our best to explain the new § 199A, as written. To understand the issue, we must first understand, at a general level, how the new § 199A deduction works. Keep in mind that the deduction is full of nuance and complexity. We will no doubt receive hundreds of pages of IRS guidance on this new deduction alone. It is the difference between the two calculations and the limitations that apply to each respectively that draw our focus today. “Qualified business income” (QBI) is defined as “the net amount of qualified items of income, gain, deduction, and loss with respect to any qualified trade or business of the taxpayer. Such term shall not include any qualified REIT dividends, qualified cooperative dividends, or qualified publicly traded partnership income.” 199A(c). Nor does QBI include wages, reasonable compensation, guaranteed payments, interest income, dividend income, or capital gain. IRC § 199A(e)(4). The second bullet point can be called the “wages limitation.” There is an exception from the wages limitation for taxpayers whose taxable income (computed without regards to the new § 199A deduction) does not exceed $157,500 (single) or $315,000 (married filing jointly). Above that amount, the deduction phases out over the next $50,000/$100,000 of income. If the wages limitation does not apply, "combined qualified business income" simply equals 20 percent of the taxpayer’s QBI. “Combined qualified business income” would be $24,000 (20 percent of $120,000) and the 199A deduction would be limited to the LESSER of $24,000 or [20 percent x (taxable income** = ($120,000 – $12,000 (standard deduction)) or $21,600], which is $21,600. (Note that the wages limitation does not apply because the farmer’s taxable income is below $157,500). In this example, the farmer’s taxable income for the year (after applying the 199A deduction) would be $86,400. The calculation of the deduction for the qualified cooperative dividend is much more streamlined. A “qualified cooperative dividend” is defined as “any patronage dividend (as defined in section 1388(a), any per-unit retain allocation (as defined in section 1388(f))***, and any qualified written notice of allocation (as defined in section 1388(c), or any similar amount received from a [pre-subchapter T organization].” IRC § 199A(e)(4). Thus, “qualified cooperative dividend” encompasses per-unit retains paid in money (PURPIM), as well as traditional patronage dividends. It does not include nonqualified allocations, which are not included in the member’s gross income. That’s it. There is no wages limitation or other calculation. It thus appears that the farmer receiving a qualified cooperative dividend may deduct 20 percent of the amount of that dividend, limited only by taxable income minus net capital gain. In other words, under this interpretation, if a cooperative patron receives $300,000 as a per-unit retain paid in money (PURPIM) from a cooperative for a sale of grain (reported in box 3 of 1099-PATR), that farmer could first calculate the tentative deduction by taking 20 percent of $300,000 for a sum of $60,000. The farmer would then compare that to taxable income (minus capital gain) for the year. If that was $108,000 ($120,000 net Schedule F income - $12,000 standard deduction), the farmer could take the full $60,000 deduction, meaning that final taxable income for the year would be $48,000. It should be noted that the combined deductions for qualified business income and qualified cooperative dividends also cannot exceed taxable income minus net capital gain. A plain reading of the text of the new law would suggest that it provides a significantly larger § 199A deduction to some member farmers marketing their products through a cooperative than to farmers selling to a non-cooperative. But it is too early to tell if this interpretation will be implemented. It is possible that Congress could "fix" this provision. Additionally, seemingly plain readings of the code are sometimes changed by IRS regulation. Section 199A(f)(4) instructs the Secretary of the Treasury to prescribe regulations necessary to “carry out the purposes” of the law, including those “requiring or restricting the allocation of items” under the law. Significantly disparate treatment of similar activities may warrant administrative consideration of the “purposes” of the law. As noted above, we’ve only touched on a very small corner of this difficult provision. It is hard to tell when and how the guidance will begin streaming in. *We are not addressing REIT dividends or qualified publicly traded partnership income, which is also included in this section, yet calculated a bit differently.